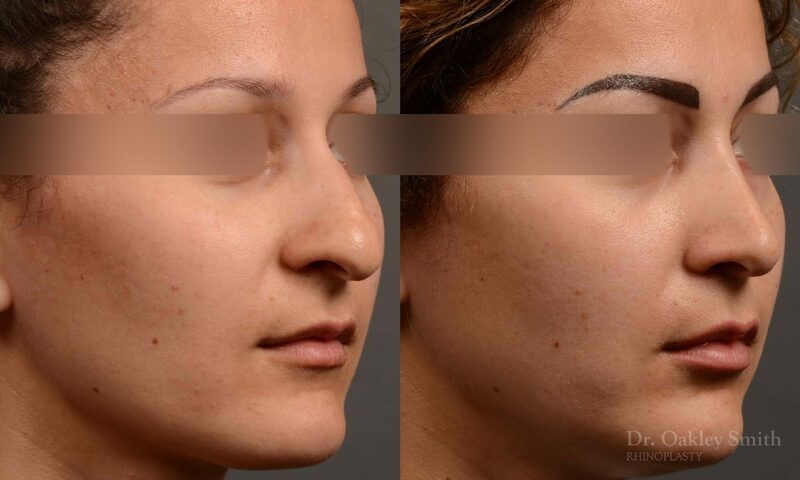 This young woman wanted her hump removed and felt her nose was too large for her face and her nasal tip to heavy. She felt her nose wasn’t straight when she looked at herself in the mirror. 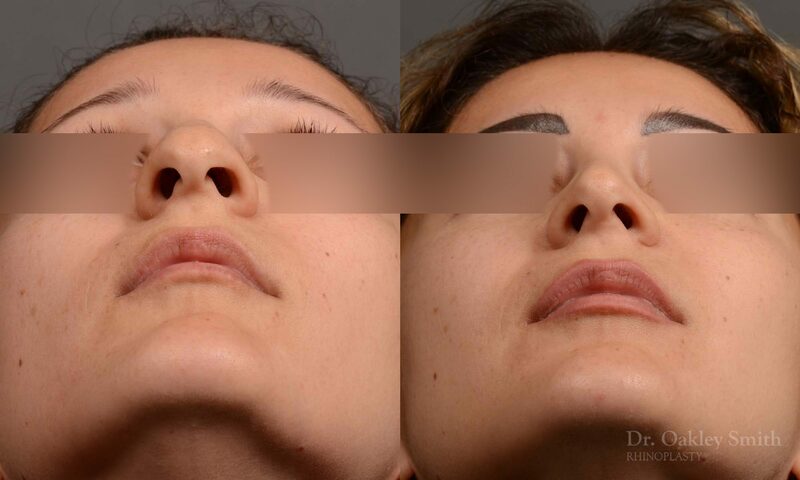 What was also evident on examination was her nasal tip hung down and appeared droopy. She has good skin thickness for rhinoplasty as her skin isn’t too thick to hide the changes, nor too thin to show every imperfection. As a result she had excellent probabilities of sufficient improvement to meet her expectations except for the straightness. This issue continues to challenge patients and surgeons alike. 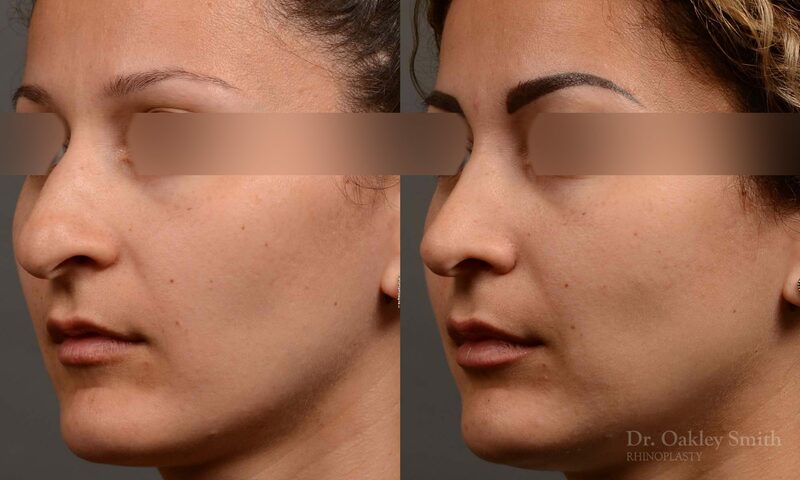 For a nose to appear straight to the casual observer, most often several things are required to be corrected during surgery. Each one must be successful otherwise the nose will not look straight. It usually is less crooked, but not straight. Unfortunately each surgical maneuver comes with a probability of success, and when all these probabilities are calculated, the overall probability drops. 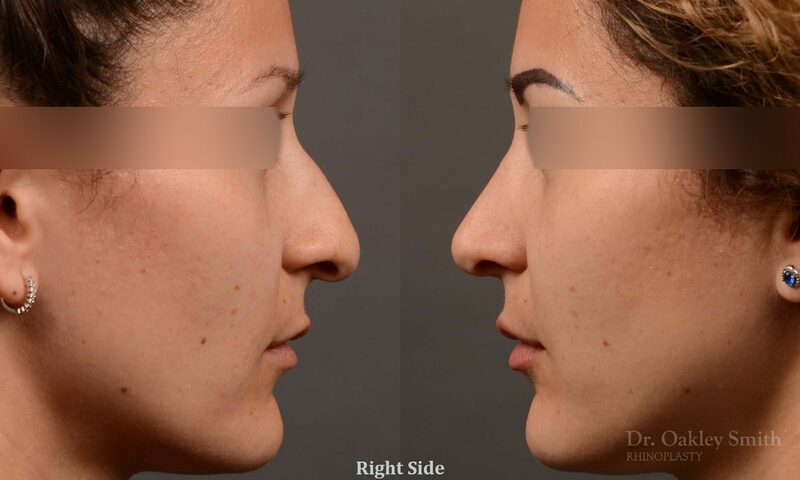 On average 60-70% of the time crooked noses will become straight with surgery. Of course straight is a relative concept. Perfectly straight is uncommonly achieved; but straight, such that the side walls are smooth and any residual deviation is so slight it isn’t recognized unless searched for, is the goal. The results are good. Her tip has been rotated and narrowed so it no longer is prominent. The overall size of her nose has been reduced by 3mm as measured by the projection of her tip. This creates a moderate change in the size of a nose. 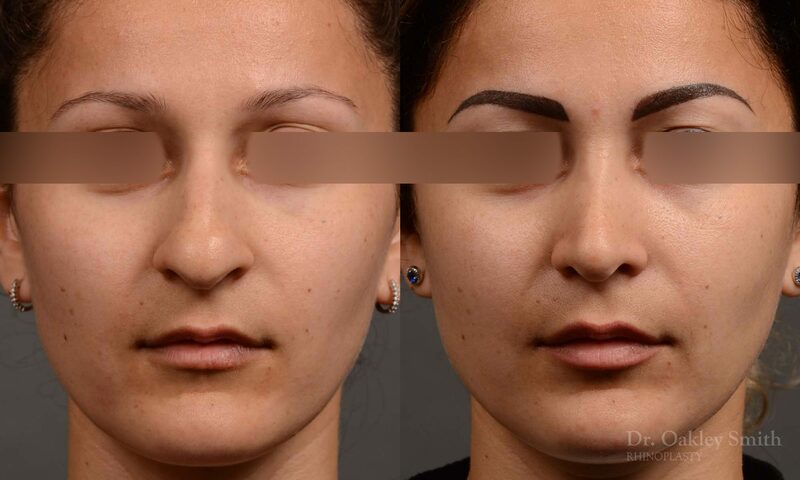 The profiles always are different as there are slight asymmetries after surgery. One profile appears better than the other. This is typical and expected. The straightness of her nose hasn’t changed significantly unfortunately. This is best assessed on the basal or worm’s eye view. Perhaps it’s slightly improved. This is the reality of surgery. 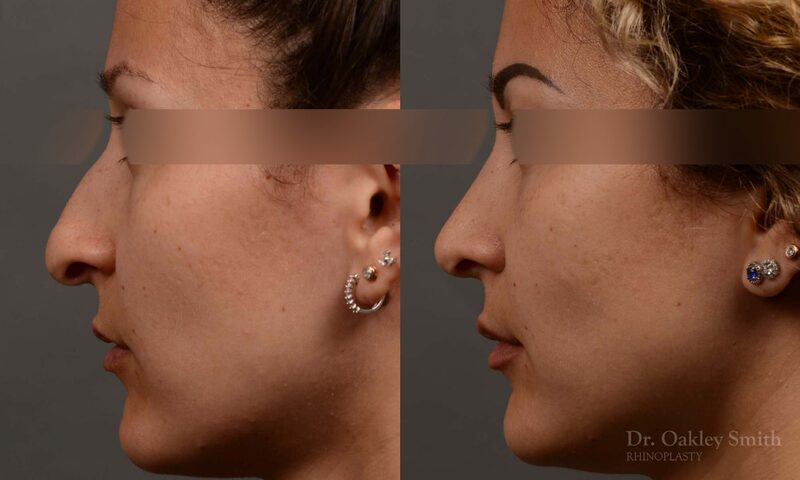 Rhinoplasty overwhelmingly creates an improved nose, but very, very rarely creates a perfect or even near perfect nose. This is why the perception of success is the meeting of the patient’s expectations and the degree of surgical improvement.